If you want to enjoy the benefits of your new garage door, then it’s important that it’s installed correctly. We’ll take the hassle out of your replacement garage door project. Your installers will pay close attention to every detail to ensure your garage door installation is Chicago is done quickly and efficiently. When your garage door isn’t installed properly, you won’t experience its benefits – including its energy efficiency. Feldco will make sure your garage door is installed correctly so no drafts will get into your garage. This is extremely important for homeowners in Chicago where the temperature can range anywhere from triple digits to below zero. During your initial meeting with your product specialist, they’ll take a measurement of your garage door opening. We’ll send a measure technician back to your home a few days later to remeasure your garage door opening. We make sure that your garage door is the right size and there are no problems when the installation team comes for the install. The garage door installers sent to your home are some of the best in the industry. They’ve all been factory trained and certified guaranteeing that your garage door installation will go smoothly. You can rest assured knowing that your garage door opener will also be installed correctly. 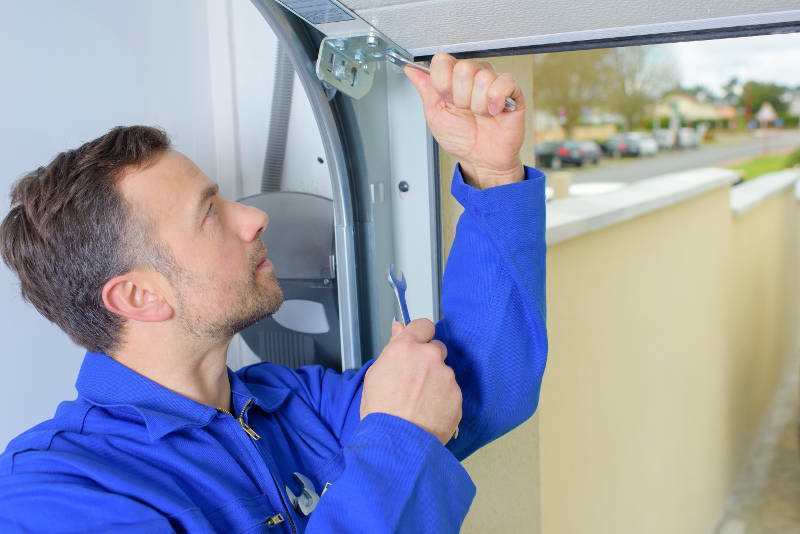 Your garage door installation team will hook up a new opener or your existing garage door opener and test to make sure everything is working correctly before leaving. With our high quality garage doors and the great installation crew, you know you’re getting the best garage door installation in Chicago. From your initial meeting with the product specialist through to the installation process, we’ll be with you every step of the way.